New Clients receive 10% off their first trip or roundtrip to any airport. Hollywood, CA, the historical center of the movie business and its stars, it also home to many TV, movie, and rock stars in addition to the famous Hollywood sign, Melrose Avenue, the Grauman’s Chinese Theatre, and the Hollywood Walk of Fame where 2,400 brass stars are embedded in the sidewalk with famous actors’ and musician’s names. As Hollywood has been undergoing a gentrification for the last decade, it is also home to a plethora of fashionable restaurants, nightclubs, and is “must see” for any LA Travel. 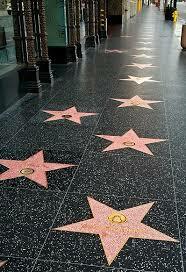 What better way to tour Hollywood than in one of Los Angeles Executive Limousines luxury Town Cars or SUV’s. Whether your transportation needs are to and from any of Hollywood’s Hotels to any of the private or municipal airports, a night on the town, a concert, a business engagement, or whatever your itinerary demands, rest assured that Los Angeles Executive Limousine offers perhaps the most reliable, professional, and friendly limo service in the Los Angeles area. 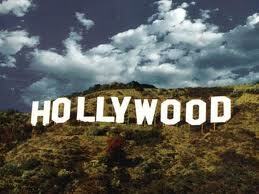 We don’t charge travel time for Limo Service in Hollywood, CA. A lot of companies do. You don’t pay until the pickup time you arranged. The only time you would be charged travel time is if we drop you in a distant city in another county. Since 1998 we have performed literally thousands of trips from the Hollywood area to LAX, Burbank Airport, Long Beach Airport, and even Ontario and Orange County Airports. Our prices aren’t the most expensive, nor are they the cheapest. We are priced comfortably in the midrange. So why pay more when you don’t have to get professionally chauffeured limo service throughout Southern California. Whether it’s a wedding, a prom, or a concert, we are committed to providing you with reliable, professionally chauffeured limo service that will make any occasion hassle free and memorable.